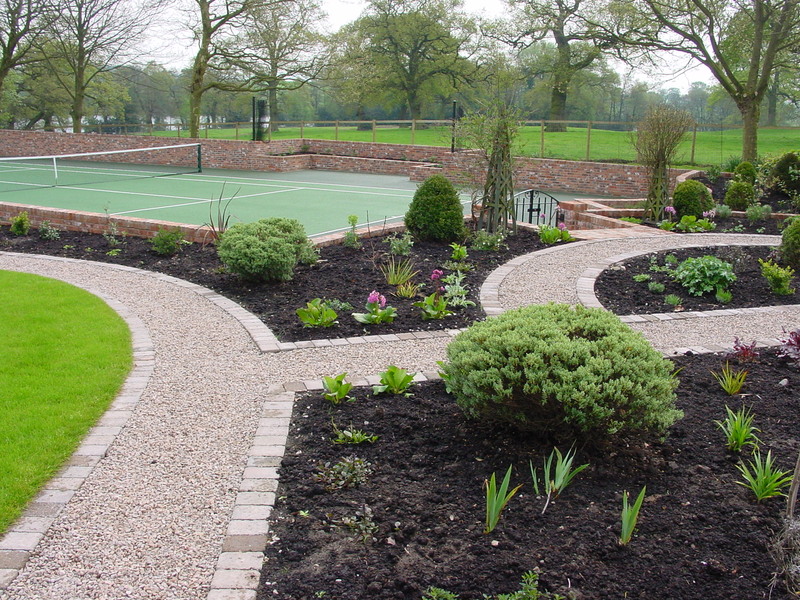 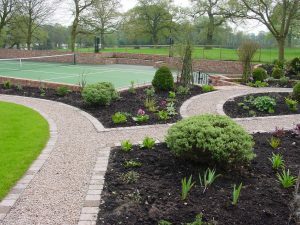 This Tennis Garden was a total joy to work on. We really did have a blank canvas to work from. 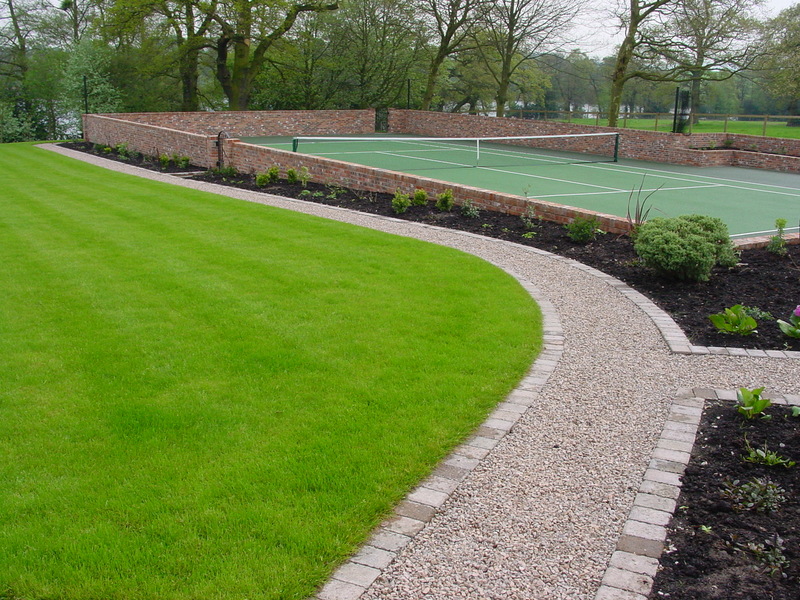 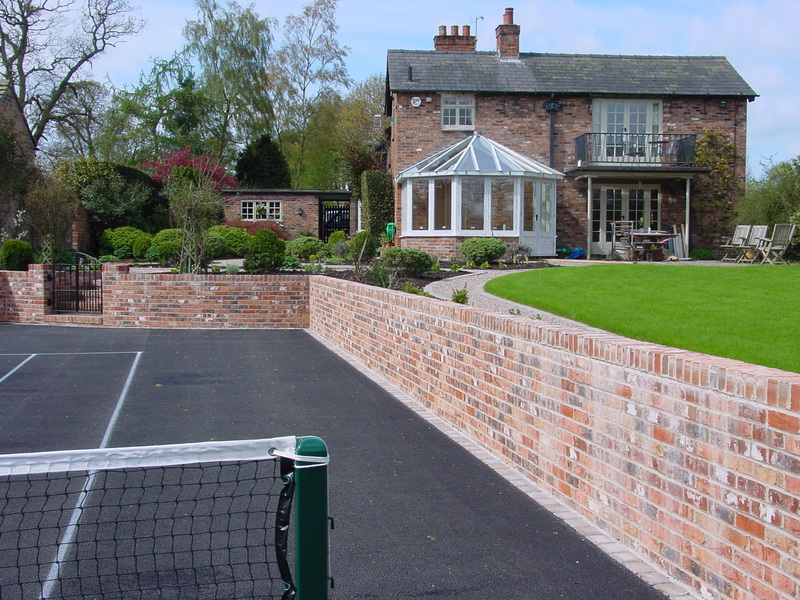 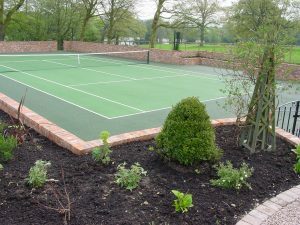 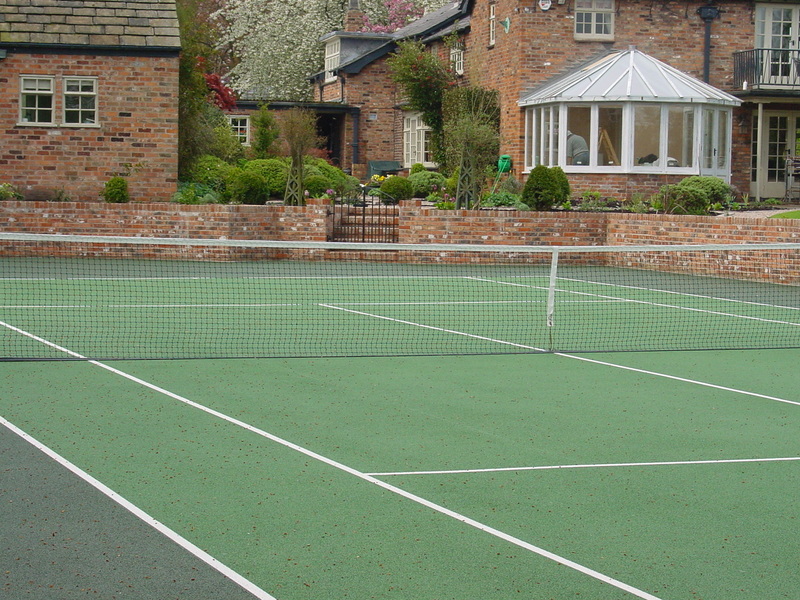 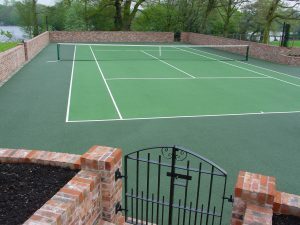 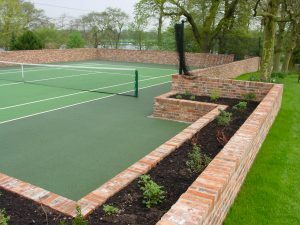 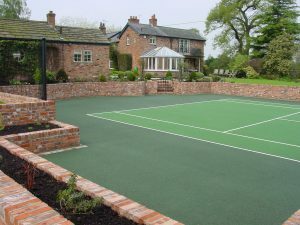 The client was looking for a garden to enjoy and entertain in; and a tennis court was to be included in this area. 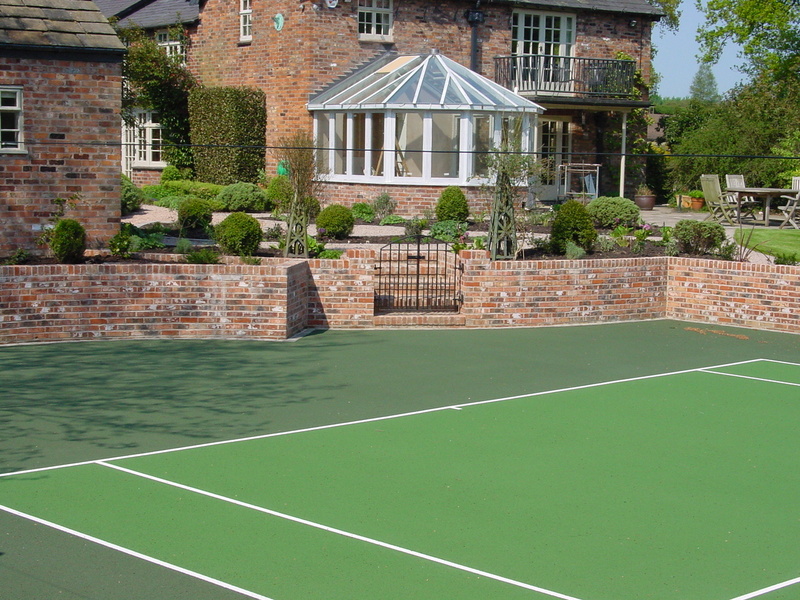 Our job was to include all requirements in a space that covers the size of just two courts. 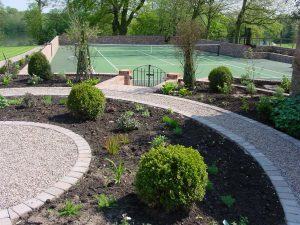 Our design split the garden in two with the Tennis court being sunken in the one half surrounded with a 4 ft high wall and blended in with planting sections giving a broken view to the court. The remaining of the garden lawn wrapped around the area with a Yorkstone patio against the house for table and chairs. 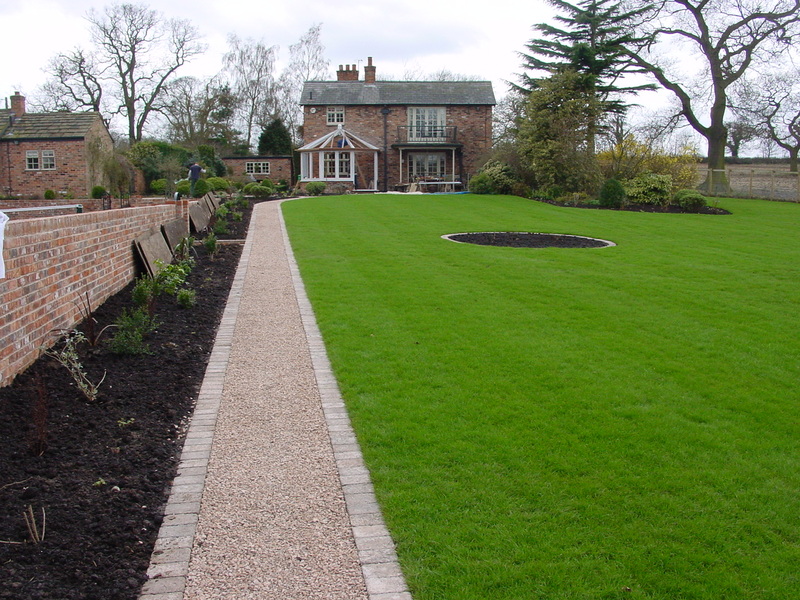 The finished look sets of the House and the Customers requirements perfectly. 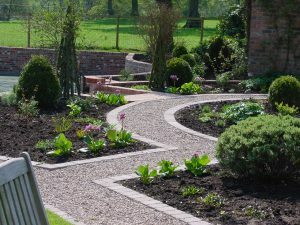 Fabulous project to be part of.